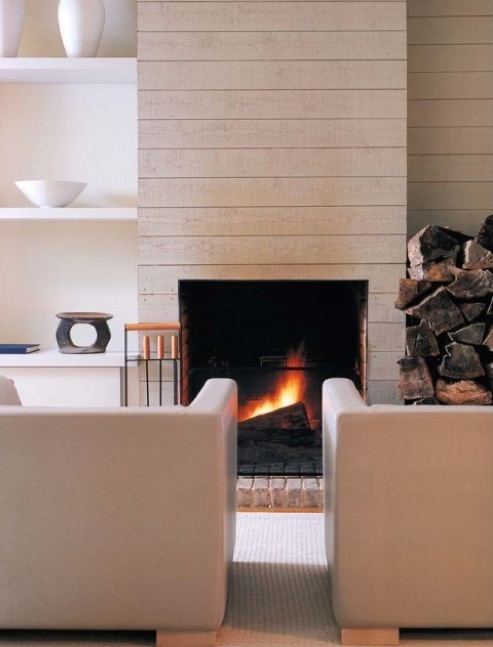 So I've gathered some cozy fireplace inspiration to help warm you from the inside out! A fireplace in the kitchen is definitely on my "want" list! So fun! I love a little kitsch. Love the organic feel of all the wood storage. I don't hate that couch either! This retro look is bright and cheery. Some day I WILL have enough time on my hands to put a fireplace in the bathroom to good use! Love the mantel, the craftsman feel and the color. 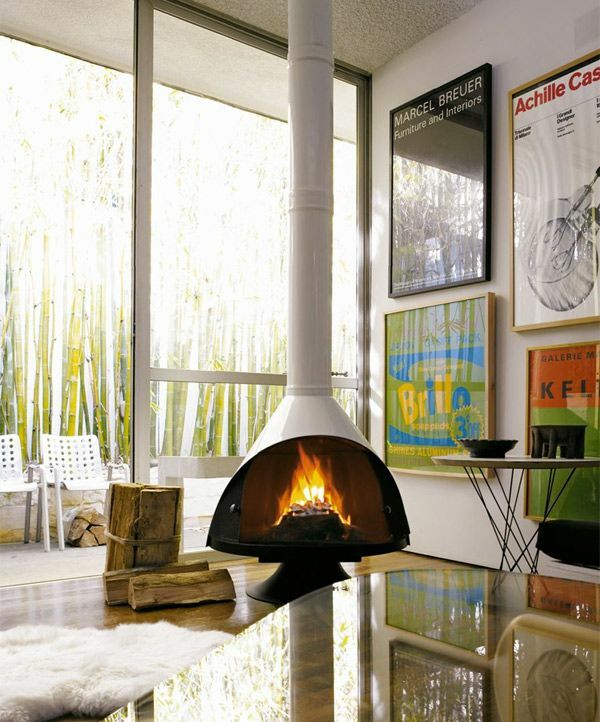 The size and scale of this fireplace is great... and the view out the window's not bad either!